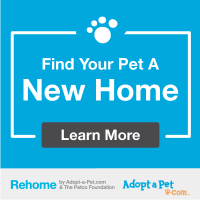 If you have a pet who needs a new home, please review the document, “Rehoming Your Dog”. It includes multiple ideas. If you can continue to care for your pet until we find a great forever home, SCD can help by evaluating the dog and posting bios on several sites. If this is the case, please fill out the Surrender Form, located on the website. First and foremost, we believe every dog is a gift and should be treated as such. We also believe every dog deserves a second chance. We will, to the best of our ability, save as many unwanted, neglected, abused and abandoned dogs as we can. Second Chance Dogs wants to responsibly team with the current pet guardian when seeking the perfect forever home for their dog. If a dog has a history of hurting other animals or people, we strongly suggest seeking out a reputable trainer. That WILL require time, patience and dedication to your four-legged family member. THEY ARE WORTH IT. Senior dogs with health issues commonly have more difficulty transitioning from one home to another. There are organizations that help with vet care bills (most require an application for funding before the vet care has taken place). Second Chance Dogs needs a reasonable amount of time to place a dog into foster care. We recommend the surrendering party seek help from as many reputable rescue groups as possible. There are never enough foster homes to help the number of dogs who are looking for new homes. These beautifully spirited animals need all of us to work together. Second Chance Dogs is entirely run by volunteers. We need people to help advertise our rescues, write grants; run adoption events, take photographs; transport; contact new adopters to make sure all is running smoothly and help dogs become more socialized and walk on a leash. The list of what needs to be done can be endless. We’re always open to new ideas. Our greatest need is to find foster homes. We supply the dog food and cover pre-approved vet bills. We do our best to match the rescue dog with the foster home. Foster families simply fill out an application and discuss what their hopes are. Most foster dogs stay in their temporary homes an average of anywhere from two weeks to six months. The opportunities are endless. The rewards so very meaningful!